Big Data’s challenges are as daunting as its opportunities are irresistible. 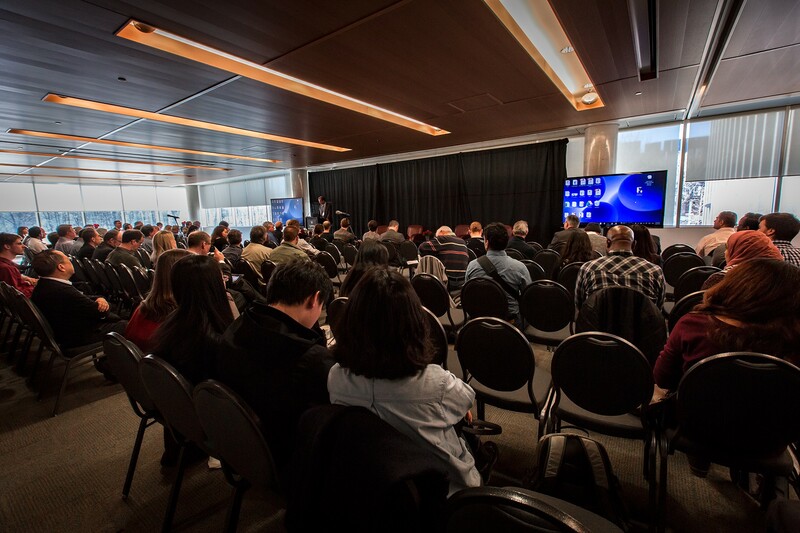 Hosted by several local and regional partners, including Shopify, IBM, IMRSV Data Labs, CATA Alliance, MindBridge, Invest Ottawa and the Ontario Centres of Excellence, Data Day focuses on the latest developments in data science and analytics research. This year’s themes of e-commerce, artificial intelligence (AI) and data regulation were dissected in panels and presentations throughout the day. Rafik Goubran, vice-president (Research and International), welcomed more than 400 attendees ranging from academics and Carleton staff to many representatives from finance, business, high technology and government sectors. Today, the reality is that big decisions in most industries aren’t made without data analysis. As Hugh Cairns of the Sprott School of Business and the SAS Institute explained before participating in the E-Commerce, Big Data and Societal Change panel, the advent of the digital age and an increase in computational ability have brought data analytics to the forefront of all sectors. Data science can improve manufacturing and health-care technologies, transportation and public safety systems, cloud computing, DNA modelling, business analytics while tackling a slew of real-world problems. Frank Dehne, director of the Carleton University Institute for Data Science (CUIDS), said data science at Carleton is growing by leaps and bounds. Facing those Big Data challenges and accessing those opportunities is the number one priority of the Institute and its many departmental partners.